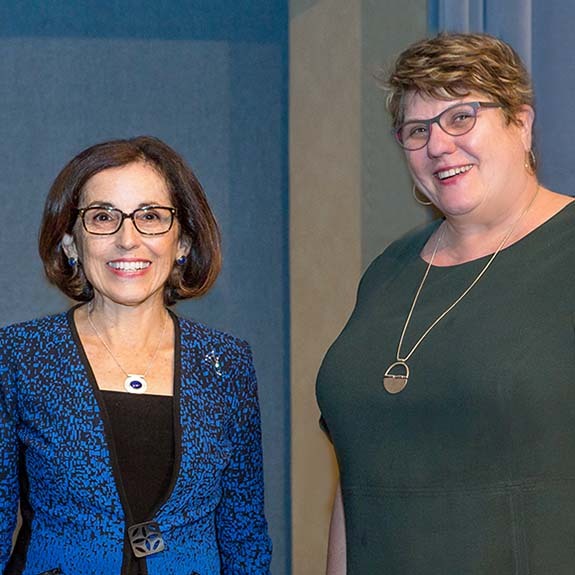 Director of the National Science Foundation (NSF) France Anne-Dominic Córdova, PhD, spoke before a full auditorium on September 11 as the guest speaker for the second Annual Donald A.B. Lindberg and Donald West King Lecture. The lecture, named in honor of Donald Lindberg, MD, former director of NLM, and Donald West King, PhD, former deputy director of research and education at NLM, supports the mission of NLM, the Friends of the National Library of Medicine, and the American Medical Informatics Association. 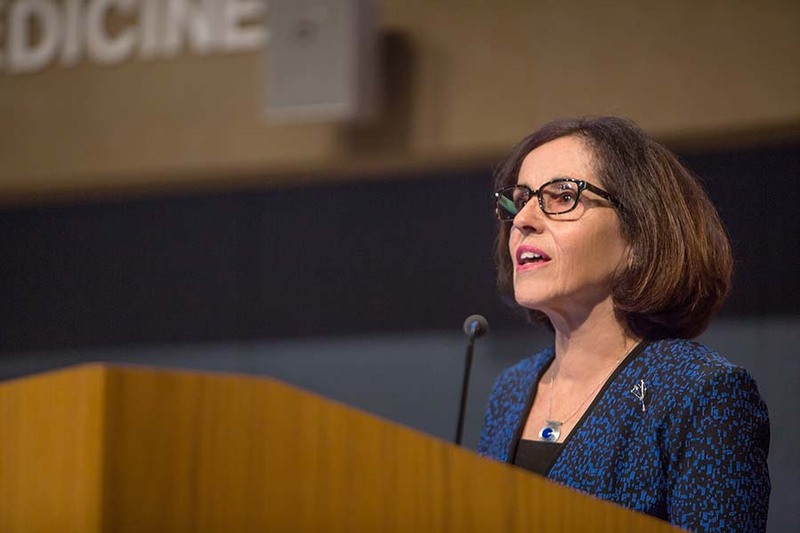 “We want to bring a forum about the current state and future of medical informatics and pathobiology to a broad scientific and public audience,” said NLM Deputy Director Jerry Sheehan in his opening remarks. 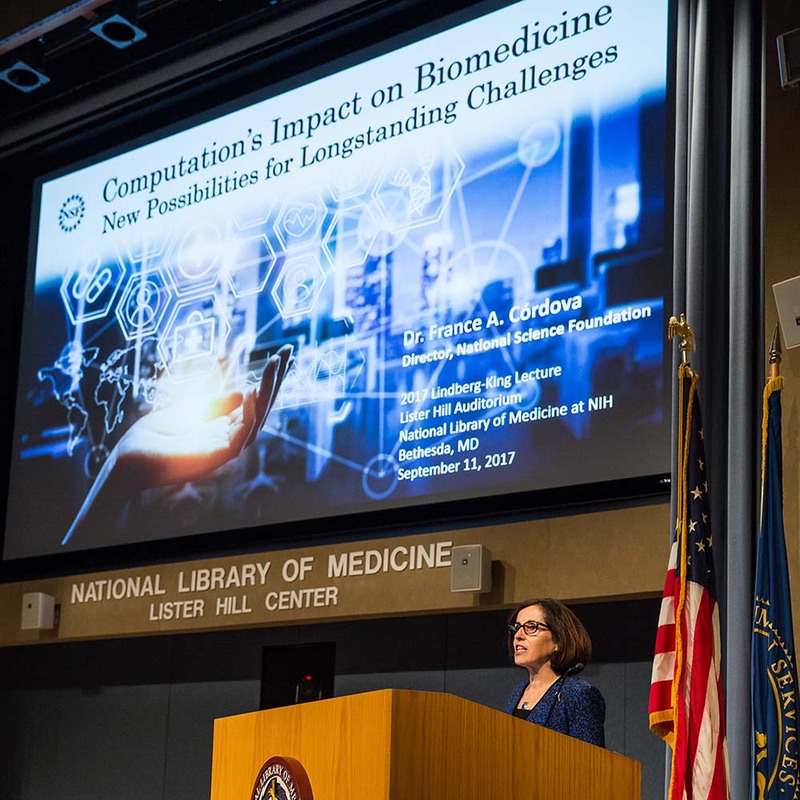 In her lecture called “Computation’s Impact on Biomedicine: New Possibilities for Longstanding Challenges,” Córdova spoke about NSF’s deep history with NIH and NLM, foundational knowledge as the key to biomedicine, and NSF’s future direction with a focus on harnessing data. 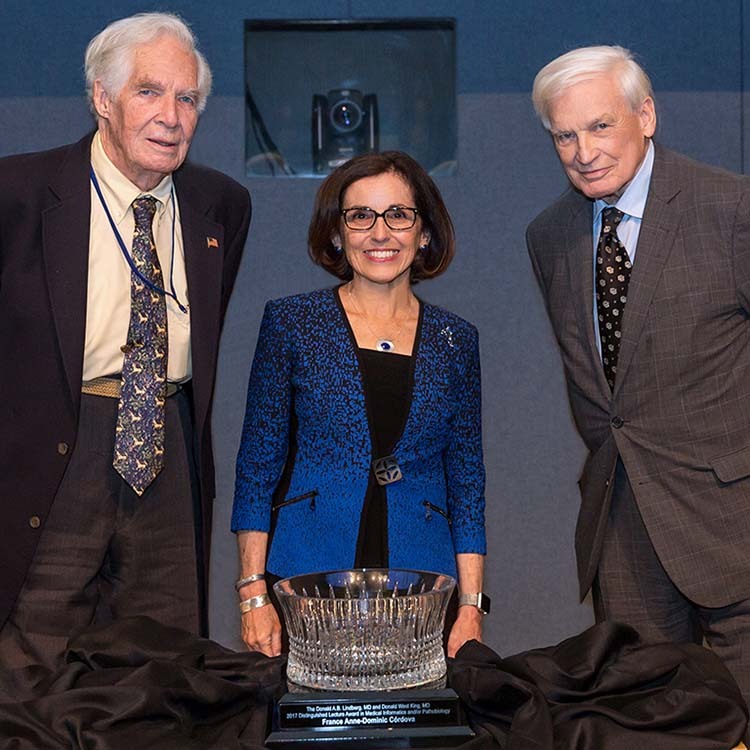 After her presentation, Córdova was presented with an award for NSF in honor of her participation. View the full video broadcast of the presentation.